Japan’s soul food is much-loved, whether it’s an instant packet or an artisan’s offering. We (obviously) adore the noddles at Ramo Ramen, but even we were a bit confused. It's just Japanese noodles, right? Wrong. Most people can’t tell you where it really came from, and as ramen lovers, we need to change that. Until the Second World War. Times were hard while the country was at war, but fortunately, wheat (which is used to make ramen) was one of the few ingredients in good supply. People began eating ramen, not just as a treat or when they were out, but as part of their everyday diet. By the time the country began to recover in the 50s, ramen had cemented itself as a staple, and its influence began to spread across the globe. Its popularity was only helped by its potential for variation, of course. The dish has a very loose definition – wheat noodles in a broth with meat/fish/vegetable toppings. If a person doesn’t like pork, they just need to switch it for chicken or beef, or make it vegetarian. Since anybody could put their own spin on the dish, ramen was difficult to get tired of. As Japan gained the world’s attention, its culture and foods were brought to the spotlight. 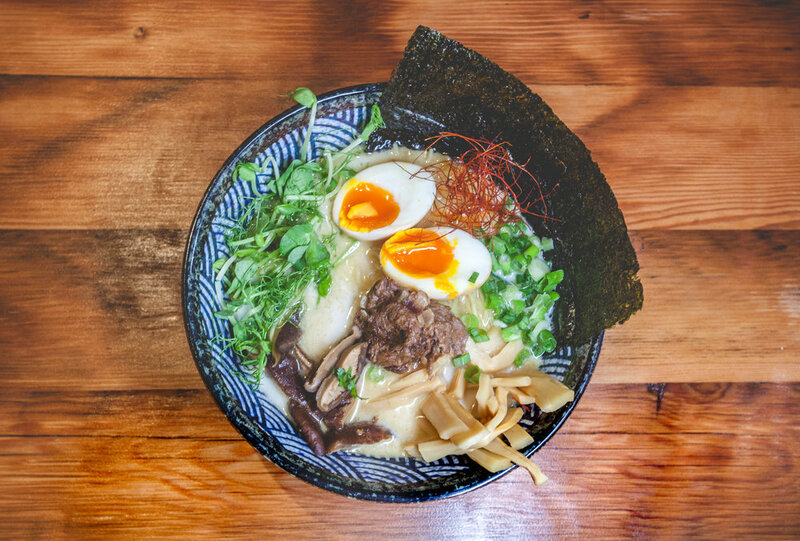 Few dishes rivalled ramen in cost, accessibility and variation, so it’s no surprise that it became the country’s representative for comfort food. Along the way, however, its origin was lost to time, and the blanks have been questionably filled. Hopefully this was enough to spread the truth about ramen to one more person.